2017 Attack From Mars Remake for sale from Arcades at Home serving Romeoville and the surrounding Chicago area. Chicago Gaming remake of the classic game Medieval Madness. Widely held as one of the most popular games of all time. 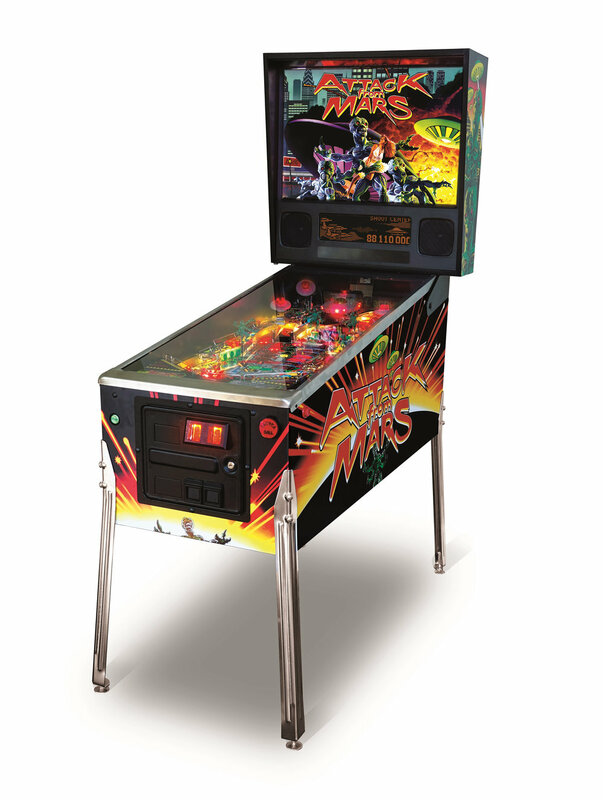 Recreated to exceed the high standards of the original game, Attack from Mars will be available in three models: the Classic Edition, the Special Edition and theLimited Edition. These three models all have numerous features never before available and exclusive to the remakes. Call now to reserve your spot. LE requires $1000 deposit. SE & Standard require $500 deposit. Your deposit is fully refundable up until 2 weeks prior to shipment. LE's are expected to ship in May. Standards and SE's may not ship for 6-9 months.